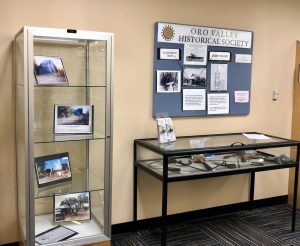 Be sure to stop by the Oro Valley Public Library to see the new display on the history of the blacksmith shop and Pump House located at Steam Pump Ranch. Then visit Steam Pump Ranch on Second Saturdays. February 9 there will be plenty going on! Tours of the Pusch Ranch House featuring a display of the history of the Tully-Ochoa wagon attack, the Heirloom Farmers Market, music by Amber Norgaard, and demonstrations and children’s crafts in the Heritage Garden.